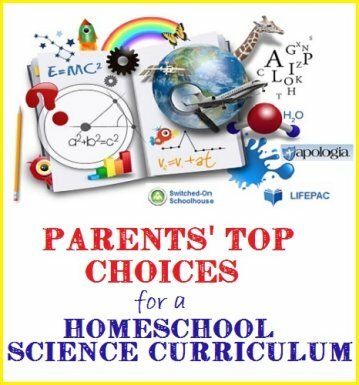 Looking for a homeschool science curriculum? We have found out which options other homeschooling parents are raving about using in their homes. Science is often the most controversial subject when it comes to teaching. As someone that is homeschooling, it can be hard to decide what influences to let into a child’s realm of learning. Here are a few things to consider when choosing a curriculum as well as some pointers for making the right choice for your household. The two factors that most parents are concerned with when choosing the right program are: high academic standards and proper worldview. High Academic Standards: The future is bright for children who do well in the sciences. Therefore, it is important to many parents to diligently look for the right curriculum that will prepare their children for college or job placements that may require a good scientific background. Reading reviews from other parents can be helpful but it is also very important to look at the requirements for entry into any schools after the homeschooling experience has ended. Teaching Methods: Each person learns in different ways. A more computer based approach may be better for those that enjoy video games or have a hard time paying attention to print media. Computer based curriculum provide more interaction and can help make up for times when a parent is not available to teach. 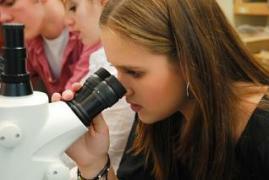 Worldview: A science textbook that is appropriate in a secular home will not be the best choice for a Christian home. The reverse is also usually true. Therefore it is important to realize that your worldview will be a factor in the text that you choose to use. Some families even choose to use a mixture of Biblical and Secular texts to teach a variety of viewpoints. The choice is entirely up to you. This is one of the great things about being a homeschooling family. This is becoming more and more a factor as the two schools of thought become more polarized. Many secular textbooks are in complete support of ideas of evolution and no longer allow other theories. Most conservative Christian textbooks completely dismiss any theory other than what is presented in the Bible. It is important to understand which viewpoint you want presented even if you plan to introduce your children to both. It is also very important to consider at the high school level what type of science education is going to be required for entry into the colleges you and your child prefer. Apologia is a top favorite among homeschooling families who desire a strong Science foundation for their children. They are written from a Biblical worldview and are very thorough. 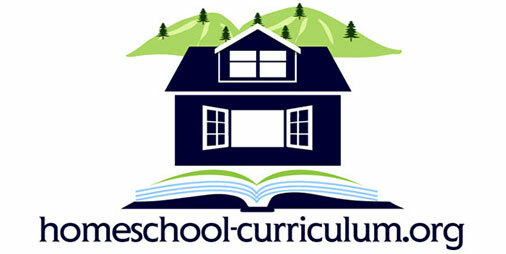 There are two options available: Life Pacs which are workbook based and Switched on Schoolhouse which is computer based. 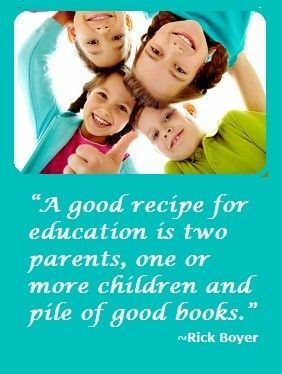 Both have strong academic foundations and involve the children in some great scientific experiments. Many children who use this program say that science has become their favorite subject. Both versions have their advantages. The LifePac version can be done almost anywhere and is easily taught by parents or tutors. The Switched on Schoolhouse version’s multimedia approach allows children to interact with their learning, play games and watch cool experiments on their computers. It also saves busy parents the hassle of grading tests and doing much preparation. Those that have had trouble with their child’s attention span at school would do well to give Life Pacs a chance. Some kids that were typically hard to teach have a completely different attitude when education is approached this way. If a curriculum is not working for you but you have already invested in it, you can always add books and online reading to supplement. This can be a particularly useful tool if you find that your child is sailing through their materials and needs something that is more challenging. If your child seems bored then that is a sign that they need something that is more engaging or at the very least more tailored to the way they learn. One of the bigger challenges of teaching a homeschool science course is the limited ability many people have for experiments and lab work. Through the use of DVDs and online videos, this has become less of a problem. At the same time it can be important to provide some hands on experiments, particularly to those that are high school age. Here are a few of the more popular experiment based curriculums out there. 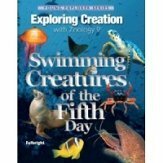 This homeschool science curriculum is aimed at kids from Kindergarten through Middle School. This is a great option for those that have kids that like to be hands on. This series combines a lot of interesting experiments that captures the attention of many kids that get bored easily or just don’t think science is interesting. An added bonus is that every purchase of curriculum includes a donation to the Christopher K. Teller Association which works towards a cure for pediatric idiopathic pulmonary hypertension. They also work towards helping families and children that are suffering or impacted by rare childhood diseases. For more information on Real Science 4 Kids…. This a fantastic curriculum for the hands on science enthusiasts. The plus side is the curriculum is designed to deliver an experiment based science experience for households with parents that are intimidated or feel they lack some of the lab skills needed for a heavy lab based curriculum. The Time 4 Learning series is completed entirely online which can be very convenient. There is a per month charge per student with discounts for additional students in one family. Kids log in and complete lessons. All course work is saved and it is easy for parents to check in on a kids progress. The monthly price includes all course work for a grade level, not just science. Some curriculums are more expensive than others. If you are on a budget or have more than one child that you are teaching this can start to add up. A less expensive course may be supplemented by library books or experiments if you feel it is lacking in any way. Curriculum that is more involved tends to cost more but for some it can make all the difference in how a child learns and retains information. Many homeschool science curriculum publishers provide free samples to give you an idea of what they have to offer. This can be an important tool and help you make sure that you make the right choice for your household. Regardless of your life view, the curriculum you choose is a very important choice that will have a big impact on how your child learns and perceives the world. Thanks for checking us out! We hope that we have helped you with a very important decision. Our elementary aged son likes Scratch Jr. While the MIT download is great, the PBS Kids one is preloaded with templates he uses to experiment with animation. He also surfs some of the more advanced content on Khan Academy when he’s procrastinating doing math. The Smithsonian Learning Lab is a huge resource that goes way beyond science. It could be a huge rabbit hole – lots of time lost exploring!